This 18" x 24" Sign Frame Standoff Includes an Acrylic Panel! These Print Holders are Great for any Type of Business to Display Signage! Each 18" x 24" Sign Frame with Satin Silver Standoffs will Ship Fast when In Stock! 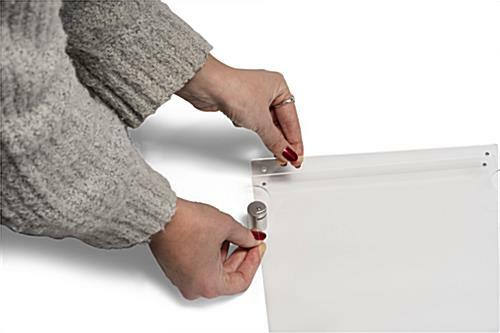 20" x 30" 22" x 28" 24" x 36"
Fold-over acrylic frame is designed with magnets to keep panel closed. 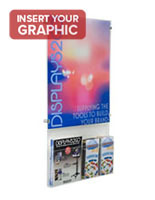 18" x 24" Posters easily fit into this top-loading display. 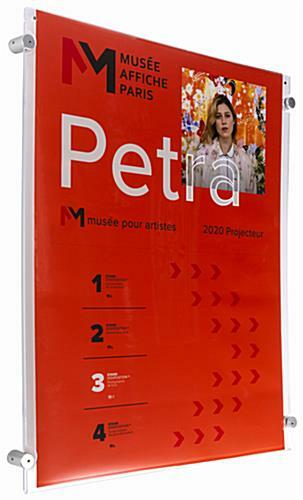 Each 18" x 24" sign frame with metal standoffs can accommodate traditional printer paper. The fact that customers do not need to purchase special posters is a great feature and cost saver. This 18" x 24" sign frame with standoffs holds portrait style images. The top of each clear display has two small magnets to hold the unit closed. Each advertising display is a standoff 18" x 24" sign frame that is made for easy updates. 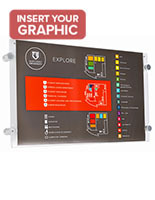 Users can switch out the signage without the hassle of taking the unit off the wall. 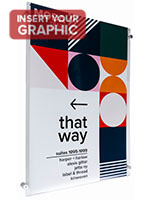 Each poster holder with metal accents is an 18" x 24" sign frame that is stylish. These print displays are simple, yet elegant so they work well in any environment. This acrylic and metal holder is an 18" x 24" sign frame that has satin silver standoffs. Buy a standoff system for displaying signage in a business now. 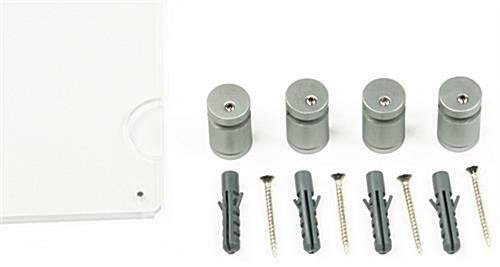 These holders are a great way to communicate information to consumers. This standoff 18" x 24" sign frame, called a poster holder, works great for any business. 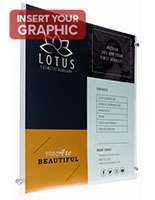 These acrylic panels with metal standoffs can display flyers for promotions, licenses, menus, and much more. Some of the businesses that use this 18" x 24" sign frame with standoffs are retail stores, food venues, schools, corporate offices, and salons. Each print holder can be displayed on the wall easily. Each poster display is an 18" x 24" sign frame that includes hardware needed for mounting on the wall. See the instructions below for details on how to hang the unit. 19.9" x 24.1" x 1.3"